The 2016 ISOE International Symposium on Occupational Exposure Management at Nuclear Facilities, was organized by the European Technical Centre of the Information System on Occupational Exposure (ISOE), in collaboration with and the support of ENGIE Electrabel and the Federal Agency for Nuclear Control (FANC). The Symposium was held in Brussels, Belgium, from the 1st to the 3rd of June 2016. It was co-sponsored by the OECD Nuclear Energy Agency (NEA) and the International Atomic Energy Agency (IAEA). This presentation concluded the Symposium, presenting the nominated distinguished oral and poster presentations as well as the main outcomes from the Symposium. The Symposium proceedings are available on the ISOE website. SRP Annual Conference, Llandudno, 26-28 April 2016. Radiation Protection culture is a topic of specific interest for the French Society for Radiological Protection (SFRP). The preparation of the IRPA guiding principles for establishing a radiation protection culture, published in 2014 and endorsed by SFRP in 2015, was initially suggested and supported by SFRP, considering the importance of promoting radiation protection culture within organisations in order to ensure a good and well understood implementation of the radiological protection system . The aim of this presentation is to outline some of the key components of the radiation protection culture and its role for the implementation of the ALARA principle for occupational exposure in the nuclear industry. 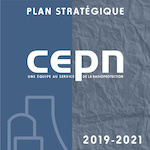 Some elements regarding the development of RP culture within the French utility EDF and the main challenges for the future are also discussed. Le nombre de centrales nucléaires mises à l’arrêt définitif est croissant en Europe et aux Etats-Unis. Le démantèlement de ces installations présente des risques particuliers par rapport à la phase d’exploitation qu’il convient d’anticiper et de gérer afin d’assurer un niveau optimal de protection des intervenants. Journée SFRP "Tchernobyl, 30 ans après", Paris UIC, 15 mars 2016. L’accident de Tchernobyl a induit une contamination durable de l’environnement qui a certes évolué depuis 30 ans mais qui demeure présente encore aujourd’hui. Cette contamination persistante a mis en évidence la problématique de la gestion post-accidentelle sur le long terme et la nécessité de mettre en oeuvre des mesures de protection de la population adaptées. L’objectif de cette communication est d’aborder les perturbations économiques et sociales induites par la contamination durable de l’environnement et de présenter les initiatives mises en place en Biélorussie depuis une vingtaine d’années afin de contribuer à l’amélioration des conditions de vie des populations. The concept of practical radiological protection culture emerged in the late 90s under the ETHOS project in Belarus and has gradually deepened in the CORE program during the decade that followed. Initially developed with adults, this culture rapidly appeared as a key element in the education of schoolchildren living in the long term contaminated areas by the Chernobyl accident. FMU International Symposium: Five Years Since the Great East Japan Earthquake,Tsunami and Nuclear Crisis. 8 March 2016, Fukushima Medical University, Japan. The accidents of Chernobyl and Fukushima highlighted the difficulty for experts to communicate with the affected population. Scientific information and technical explanations are not able by themselves to restore confidence of those whose autonomy has been severely amputated by the sudden irruption of radioactivity in their daily lives. It is only by establishing a process of regular dialogue between experts and local communities that it is possible to gradually restore confidence through the development of a practical radiological protection culture allowing everyone to make informed decisions to protect oneself taking account of the prevailing local circumstances.